Federal investigators have cracked down on two spam operations that it says have clogged the Internet with millions of deceptive messages and violated federal laws. The companies targeted are Phoenix Avatar of Detroit and Global Web Promotions, which opeerates out of Australia and New Zealand. A U.S. District Court judge has barred Phoenix Avatar from further spamming and has frozen the defendants assets. Federal agents yesterday executed a criminal search warrant and said they were in the process of arresting four principals in that case. The FTC has filed legal actions against Global. Both operations have been identified by the anti-spam organization Spamhaus as among the largest spammers in the world. The FTC says it has received more than 1 million complaints about the two. It's the first criminal case to be brought under the CAN-SPAM Act, which went into effect in January. The cyber scam artists who exploit the Internet for commercial gain should take notice. Federal law now makes it a felony to use falsehood and deception to hide the origin of the spam messages hawking your fraudulent wares," said Jeffrey G. Collins, U.S. Attorney for the Eastern District of Michigan. The FTC charged Phoenix Avatar and its Detroit-based principals with sending illegal spam to sell bogus diet patches. Consumers who wanted to purchase the products clicked on a hyperlink in the message and were connected to one of the defendants many Web sites. The agency alleges the defendants were earning nearly $100,000 per month from product sales. The FTC alleges that the claims made for these diet patches are false and that the patches, which sell for $59.95, will have no effect at all. The spammers hoped to obscure their identities by using innocent third party e-mail addresses in the reply-to or from fields of their spam a practice known as spoofing. When spam was undeliverable and bounced back, tens of thousands of undelivered e-mails bounced to unwitting third parties, sometimes getting the third parties mislabeled as spammers, themselves. The spam did not offer consumers the ability to opt out of receiving future e-mail. The agency charged that the deceptive claims violate the FTC Act and that the spoofing and failure to provide an opt-out capability violate provisions of the recently enacted CAN-SPAM Act. At the FTCs request, U.S. District Court Judge James F. Holderman entered a Temporary Restraining Order requiring an end to illegal spamming and deceptive product claims and freezing the defendants assets. On April 28, federal criminal authorities executed a search warrant on a residential location in West Bloomfield, Michigan, and arrested Christopher M. Chung and Mark M. Sadek. Arrest warrants are outstanding for defendants James Lin and Daniel J. Lin. In a criminal complaint issued by the U.S. Attorneys Office, these individuals have been charged with violations of the federal mail fraud laws as well as with criminal violations of the CAN-SPAM Act. In the second case, the FTC filed legal charges against Global Web Promotions Pty Ltd., an Australian company that the FTC alleges is responsible for massive amounts of spam in the United States. Global Web not only advertised a diet patch similar to the one in Phoenix Avatar, it also claimed its human growth hormone products HGH and Natural HGH could maintain [a users] appearance and current biological age for the next 10 to 20 years. Experts cited by the FTC dispute the claims, and the FTC alleged the claims are false. The products do not contain growth hormone of any sort, according to papers filed with the court. The products are shipped to consumers from within the United States. The diet patch was sold for $ 80.90 and the HGH products cost $74.95. In both cases, the FTC introduced as evidence thousands of examples of the defendants spoofing a wide array of victims, including AOL, Microsoft Network, and other companies and individuals. Spoofing involves forging headers on e-mail to make it appear that they came from an innocent third party. Undeliverable e-mail is returned to the innocent victim, often flooding their servers and interfering with normal operations. This process not only is prohibited by the CAN-SPAM Act, it also has worked real hardship on innocent businesses. The FTC charged Global Web Promotions Pty Ltd., Michael John Anthony Van Essen, and Lance Thomas Atkinson with violations of the FTC Act and the CAN-SPAM Act. The FTC has filed a motion requesting that the Court issue a Temporary Restraining Order barring further illegal spam and stopping illegal sales and shipment of products. The Global Web Promotions Pty case was brought with the assistance of the Australian Competition and Consumer Commission and the New Zealand Commerce Commission. 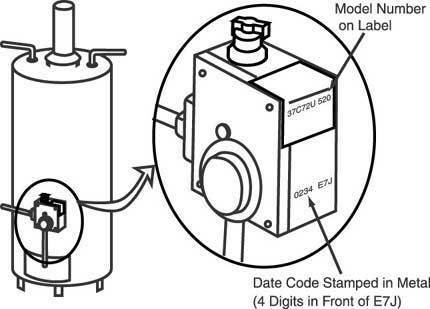 White-Rodgers is recalling 88,000 temperature controls used on LP and convertible gas water heaters. The gas water heater controls can gradually open instead of snapping open to full flow, which can cause soot to build up on the water heater burner, presenting a fire hazard. White-Rodgers has received 12 reports involving soot build-up. Eight of these reports included minor fire damage. The temperature control is a small metal box located above the access panel door of the gas water heater. A white label with red lettering located on the right side of the control contains one of the following model numbers: 37C55U 658, 37C57U 602, 37C72U 520, 37C72U 546, 37C72U 547, or 37C72U 548, and 37C72U 676. There should be a four- digit metal stamped date code located below the label on the right side of the control. Retail distributors and independent servicers have sold and/or installed water heaters with the controls from October 2002 through March 2004. Contact White-Rodgers to arrange for a qualified service technician to replace the recalled control free of charge. Call White-Rodgers Special Project Office at (800) 426-3579 or visit their web site at www.regcen.com/tempcontrolrecall. Amazing though it may seem, Korean automakers outpaced both European and U.S. brands in initial quality, according to the J.D. Power and Associates 2004 Initial Quality Study. Driven by Hyundai's performance, the Koreans have aggressively cut initial quality problems by 57 percent in the past six years - dropping from 272 problems per 100 vehicles in 1998 to just 117 in 2004. It's a stark contrast to 1998, when Korean automakers trailed the industry-leading Europeans by an imposing 116 problems per 100. Koreans now lead the Europeans by and the domestics. They trail the Japanese by just 6 problems per 100 vehicles. "A decade ago, as Korean manufacturers struggled with a universally poor reputation for vehicle quality, no one would have predicted they could not only keep pace, but actually pass domestics and other imports in terms of initial quality," said Joe Ivers of J.D. Power and Associates. "This demonstrates how vastly more competitive the market has become which is good news for consumers, who will ultimately benefit." The study shows that widespread initial quality improvements have taken hold in the automotive industry, with initial quality problems dropping 11 percent from 2003. The industry average stands at 119 problems per 100 vehicles -- the fewest problems since the study was redesigned in 1998. Among the 169 models included in both the 2003 and 2004 study, 129 (76%) have registered an improvement, while 35 (21%) have declined and five (3%) remain unchanged. Toyota continues in the Initial Quality Survey's top spot, with seven models receiving awards, the most of any corporation. Toyota is followed by American Honda Motor Co. and Hyundai Motor America in a tie, and by BMW of North America. While General Motors, DaimlerChrysler and Ford continue to demonstrate product improvement, all three continue to rank below the industry average. Lexus set a new record with its Lexus SC 430, which is the best-performing model in the survey's history, scoring just 44 problems per 100 vehicles. Lexus remains the top-ranked nameplate, despite a 14 percent decline in initial quality. It's followed in the nameplate rankings by Cadillac, Jaguar, Honda, and Buick and Mercury in a tie. Thirty out of 37 nameplates have improved scores from 2003. Hyundai, which jumps an impressive 16 rank positions from 2003, makes the most significant advancement, improving 29 percent year-over-year to rank seventh. Between 1998 and 2004, Hyundai has improved by 62 percent - more than any other nameplate and nearly twice the industry average of 32 percent. Other nameplates reporting significant initial quality improvement in 2004 include: Honda (23%), HUMMER (23%), Land Rover (22%), Jaguar (20%) and Mercedes-Benz (20%). J.D. Power and Associates bases its quality and satisfaction measurements on responses from millions of consumers annually. A California company has filed a class action lawsuit charging that it and other telephone customers were unlawfully billed by AT&T; through long-distance charges added to their local phone bills. The Allen Lund Company, a national transportation broker based in La Canada, California, is not an AT&T; customer and did not use AT&T; long-distance services, but repeatedly was assessed AT&T; long-distance charges through its local phone bill by BellSouth, the company charged. The problem is not confined to California. On April 23, Florida Attorney General Charlie Crist issued a consumer advisory warning telephone customers that AT&T; long-distance charges are being improperly added to local phone bills. "According to AT&T;, their records verify that I've not been a customer since 2002, yet I get a bill every month for $7.56 for a telephone number that I haven't had in over two years," Pamela of Poquoson VA told ConsumerAffairs.com, one of hundreds of complaints the consumer site has received about AT&T slamming. "I switched my service to the Verizon Freedom Package. ATT billed me anyway on the closed account. I tried to clear this up for 8 months. They just kept billing me at a non-ATT consumer rate," said Alfred of Brick NJ. On April 27, 2004, the Florida Attorney General released a public letter to John Polumbo, president and chief executive officer of AT&T;, demanding that AT&T; implement "immediate corrections" to AT&T;'s automated customer service system. AT&T;'s automated system prevents callers from speaking with live customer service representatives and obstructs consumers from receiving refunds for the improper long-distance charges. The class action lawsuit was filed on August 15, 2003 and asserts claims against AT&T; for unlawful, unfair or fraudulent business practices in violation of the California Unfair Competition Law, for unjust enrichment, and for money had and received. According to the complaint, AT&T; unlawfully bills some consumers who are not AT&T; customers through their local phone bills, and AT&T;'s computerized billing system continues to assess charges on phone lines not subscribed to AT&T; long-distance service even though AT&T;'s own records indicate that there is no AT&T; call activity on the phone lines or that AT&T; does not provide service to such lines. A Chicago lawsuit against Mr. Coffee and its manufacturer seeks unspecified damages for a Chicago-area child who was scalded by a defective coffee maker at the age of seven. The suit charges that on January 20, 2004, a Mr. Coffee coffee maker in the family kitchen malfunctioned, spraying Andrea Hettel with scalding water and hot coffee grounds. The child suffered severe internal and external burns and faces a lifetime of medical costs and loss of income, the suit charges. The suit names Mr. Coffee and its corporate parents, American Household Inc., and Sunbeam Products Inc. It charges that the company knew of the defects plaguing the coffee maker but did nothing to eliminate the defect or warn users of the hazard. Mr. Coffee is also named in a Chicago consumer's lawsuit which alleges that the company sold millions of the machines even though it knew of design and manufacturing defects that could cause it to expel hot coffee, water and grounds. A consumer lawsuit accuses Sunbeam Products of knowingly selling defective Mr. Coffee coffee makers to millions of consumers. Plaintiff Susan Wallis of DeKalb County, Ill., charges that each of three Mr. Coffee machines leaked hot water, coffee and grounds on her kitchen counter. The suit, which seeks class action status, alleges that problems with the coffee makers became increasingly evident after Sunbeam closed the longtime Mr. Coffee plant in Cleveland and moved production to Matamoros, Mexico, leaving 390 Ohio workers without jobs. Mr. Coffee introduced its first coffeemaker in 1972 and has held the #1 market position ever since. The company was acquired by Sunbeam in 1998. In her lawsuit, Wallis charges that Mr. Coffee machines have inherent design and manufacturing defects. For example, the suit says the removable reservoir on the coffee makers habitually leak water from the bottom of the machine, leaving water standing on the counter-top. Likewise, the "Brewing Pause 'n Serve" feature, which supposedly allows a cup of coffee to be poured during brewing, prevents water from properly draining through the filter basket. As a result, water and coffee grounds can overflow from the basket, greatly increasing the risk that hot fluids will spill out. In the suit, Ms. Wallis alleges that she bought her first Mr. Coffee coffee maker from a Wal-Mart in August 2003. The second time she used it, hot coffee and coffee grounds began overflowing from the top of the filter basket. She sent Mr. Coffee an e-mail and received a response offering her a replacement unit. She accepted and, about a week later, the new unit arrived and a short time later, the same problem occurred with the replacement unit. A babysitter unplugged the leaking coffee maker and began cleaning up the spilled hot coffee and grounds. Without being touched by the babysitter, the filter basket, which was overflowing with hot coffee, broke away from the coffee maker, expelling hot coffee and making the unit useless. Ms. Wallis complained again and, again, was given a replacement unit. Almost immediately after she received the third unit, it exhibited the same problem. Ms. Wallis said she has since stopped using Mr. Coffee machines. The lawsuit alleges that Mr. Coffee has continued to sell the coffee makers and representing them as safe and reliable while at the same time conducting a "secret warranty" campaign that offers replacement units and, sometimes, money for damages to some consumers but not others. Ms. Wallis' suit was filed in Cook County Circuit Court on behalf of Illinois consumers. Similar suits are pending in other states. It seeks appropriate compensatory and punative damages. Medco has agreed to pay $29.3 million to settle a case that accused the giant pharmacy benefits manager (PBM) of violating 20 states consumer protection laws with its drug-switching practices. Medco, a Merck spinoff, was accused of improperly hiking prices, switching prescriptions to favor certain drugs, including Mercks, and engaging in other practices aimed at boosting its profits. It will pay the states $6.6 million to pay for the cost of the investigation and an average of $1 million apiece in cash or prescription drugs for low-income, elderly or disabled consumers. Medco, which contracts with health plans to process prescription drug payments to pharmacies and manages many states benefits, also agreed to make certain disclosures. It will, for instance, reveal any financial incentives it gets from drugmakers. Medco neither admitted nor denied wrongdoing in making the settlement. The states charges that Medco encouraged doctors to switch patients to different prescription drugs by implying that the switch would benefit patients and their plans when in fact, the switch only benefited Medco. In addition, doctors and their patients were never told that drug switching would increase rebate payments from drug manufacturers to Medco and that some switches would result in increased costs in follow-up doctor visits and tests. Medco is one of the largest providers of pharmacy benefit management services in Oregon and nationwide and any changes that it makes for the good in its operations are expected to significantly reform the entire industry, Oregon Attorney General Hardy Myers said. It is made more often than once in two years within a therapeutic class of drugs for any patient. Adopt a certain code of ethics and professional standards. The settlement provides for a $2.5 million fund to reimburse consumers whose statin (cholesterol lowering) drugs were switched by Medco. Consumers will be eligible to receive up to $25 each to cover statin switch-related medical costs. Lead states in the case were Massachusetts, Maine and Pennsylvania. The Supreme Court sided with MBNA America in a consumer suit challenging the bank's right to charge interest on over-limit fees. The Justices affirmed a Federal Reserve Board rule which permits credit card companies to impose the fee separately from finance costs. The high court rejected a customer's claim that MBNA, the world's second-largest credit card issuer, should be barred from listing the fee as a separate purchase that accrues interest charges. Sharon Pfennig sued the bank claiming it violated the Truth in Lending Act by letting her go over her credit limit, then charging her over-limit fees and interest. Pfenning, an Ohio State University student at the time, soon found herself $700 in debt. "They authorize the extension of credit," Sylvia Goldsmith, Pfennig's attorney, argued. "They charge her interest. Then they charge her the penalty, $29, then they charge her interest on the penalty." At issue was the 1968 federal Truth in Lending Act, which requires lenders to disclose credit terms, including finance charges and the annual percentage rate. The law doesn't spell out whether over-limit charges must be included in the finance charge. Since 1981, the Federal Reserve has had a rule allowing such fees to be charged separately from finance costs. Siding with MBNA were the Bush Administration, the American Bankers Association, MasterCard International Inc. and Visa USA Inc. The Bush administration said a lower court that ruled in Pfennig's favor should have deferred to the Federal Reserve's interpretation of the truth-in-lending law. "It is perfectly reasonable to characterize an over-limit fee not as a charge imposed for obtaining an extension of credit over a consumer's credit limit, but rather as a penalty for violating the credit agreement," Justice Clarence Thomas wrote for the court. Pfennig's suit said MBNA let her exceed her credit limit, then imposed a $29 fee for every month her balance remained over the original limit. Instead of listing the fee as a finance charge, the company posted it as a new purchase on which she had to pay additional finance charges, said her lawsuit, which sought class action status. Reverse mortgages have the potential to pay for long-term care at home, according to a study released by the National Council on the Aging (NCOA). Theres been a lot of speculation whether reverse mortgages could be part of the solution to the nations long-term care financing dilemma, said NCOA President and CEO James Firman. Its clear that reverse mortgages have significant potential to help many seniors to pay for long term care services at home. In 2000, the nation spent $123 billion a year on long-term care for those age 65 and older, with the amount likely to double in the next 30 years. Nearly half of those expenses are paid out of pocket by individuals, and only 3 percent are paid for by private insurance; government health programs pay the rest. According to the study, of the 13.2 million who are candidates for reverse mortgages, about 5.2 million are either already receiving Medicaid or are at financial risk of needing Medicaid. This population would be able to get $309 billion from reverse mortgages that could help pay for long-term care. Weve found that seniors who are good candidates for a reverse mortgage could get on average $72,128. These funds could be used to pay for a wide range of direct services to help seniors age in place, including home care, respite care or for retrofitting their homes, said Project Manager Barbara Stucki, Ph.D. Using reverse mortgages for many can mean the difference between staying at home or going to a nursing home. The study is part of NCOAs National Blueprint for Increasing the Use of Reverse Mortgages for Long-Term Care, to be published in June. The blueprint will offer new insights into the potential market for reverse mortgages and recommendations for administrative action, regulatory changes, consumer protections, and demonstration programs. Reverse mortgages are a special type of loan allowing people aged 62 and older to convert equity in their home into cash while they continue to live at home for as long as they want. Eighty one percent of households in the U.S. with homeowners age 62 and older own their own homes and many own them free and clear. Seniors can choose to take the cash from a reverse mortgage as a lump sum, in a line of credit or in monthly payments. If they choose a lump sum, for example, Stucki said that they could pay to retrofit their home to make kitchens and bathrooms safer and more accessible especially important to those who are becoming frail and in danger of falling. If they choose a line of credit or monthly payments, an average reverse mortgage candidate could use the funds to pay for nearly three years of daily home health care, over six years of adult day care five days a week, or to help family caregivers with out-of-pocket expenses and weekly respite care for 14 years. They could also use it to purchase long-term care insurance if they qualify. It's spring and college students are starting the annual hunt for summer jobs. Many will respond to Vector Marketing's help-wanted ads boasting great pay, flexible hours, no experience necessary and extensive training available. However, a group of students say these claims are false, and are trying to file a class-action suit against Vector. Students Against Vector Exploitation, or SAVE, was formed last June. Lauren Katz, co-founder of SAVE, recently won a case with the Department of Labor in New York against Vector, which was ordered to send her a check for work she did during unpaid training. It's not the only decision Vector has lost. The Arizona attorney general sued in 1990, and in 1994 the Wisconsin Consumer Protection Agency ordered Vector officials to stop deceiving recruits. In 1999 Vector admitted to misleading recruits in Australia after the Australian Consumer and Competition Commission sued the company for fraud. SAVE alleges Vector officials hide the fact that they are not offering steady employment but rather a contract to sell Cutco kitchen knives with in-home demonstrations. The company hires employees as "independent contractors" in order to avoid paying for training and benefits, the group says. According to Vector's marketing plan, the contractors are expected to either buy or put down a deposit for a set of knives for giving demonstrations, which costs at least $145 plus shipping and handling. They must follow strict rules regarding whom they are allowed to sell to and how to give presentations. Cutco representatives start by selling to their family and friends and get referrals through them. If they do not follow strict regulations set by the company or are not able to sell the product, they do not get paid. Many advertisements for these positions claim they are "a customer service/sales job with no telemarketing or door-to-door sales." However, the work requires going door-to-door after making appointments over the phone, which meets the Federal Trade Commission's definition of door-to-door sales, SAVE alleges. SAVE also alleges that Vector presents misleading information when interviewing recruits. Officials tell applicants that Vector is a Fortune 500 company. Vector was purchased from a Fortune 500 company 20 years ago. Officials also say Vector has been in business more than 50 years. Cutco, the knife company, not Vector, has been around that long. "In order to sell knives at such inflated prices, Cutco is resorting to unethical and illegal business practices and taking advantage of the relationships young reps have with friends and family," Kay Bible, a former employee of Vector Marketing, states on her Web site. Vector Marketing says its recruitment tactics are not misleading and it stands by its business practices. Ashley Furniture is recalling more than 22,000 bunk beds that present a strangulation hazard to children. Models involved are the Trails End, Cottage Retreat, and Stages bunk beds. There are gaps between parts of the bunk beds that violate federal safety standards and can be entrapment or strangulation hazards. For model B383, the gap between the end rails on the upper bunk is too large. For models B213 and B233, the gap between the guardrails of the upper bunk can be widened with pressure, presenting an entrapment hazard. Federal standards for bunk beds are designed to protect children against entrapment and strangulation. These bunk bed models are recalled for repairs: B383-58T, B383-57T, B213-58, and B233-58. The B383 models are sold under the group name Trails End. The B213 is sold under the group name Cottage Retreat. The B233 is sold under the group name Stages. The model numbers are on product stickers on each bunk bed. On the B383 model, the product sticker is on the inside of the lower rail on the top bunk end panel. On the B213 and B233 models, the product sticker is on the inside of the lower panel on the bottom bunk. The bunk beds being recalled for repair were sold at furniture stores nationwide. Model B383 was sold beginning in December 2000. Model B213 was sold beginning in May 2003. Model B233 was sold beginning in June 2003. All sales of the recalled bunk beds ended in February 2004. Model B383-57T sold for around $299, model B383-58T sold for around $699, and Models B213 and B233 sold for around $599. Consumers should immediately stop using the recalled bunk beds and get a free repair kit from the retailer to cover and close up the entrapment gaps. Consumers can install the repair kit easily at home. Consumer Contact: To get a free repair kit, contact the dealer who sold the bunk bed. Although repair kits are not available on-line, consumers can call Ashley Furniture Industries at (800) 999-2936 between 7:00 a.m. and 6:00 p.m. (CT) Monday through Friday and 8:00 a.m. to 5:00 p.m. (CT) on Saturday. Additional information is available on Ashleys web site at www.ashleyfurniture.com. American Standard Companies is recalling about 37,000 Trane and American Standard brand accessory electric heaters. Overheating of the wiring in the accessory heater can lead to wall thermostat fires. There have been four reports of thermostat fires. Two of the fires resulted in several thousand dollars in property damage. No injuries have been reported. The 240 volt accessory heaters are used to provide supplemental heat in the heat pump or electric heating system. The accessory heater - model number BAYHTR1415BRKAC manufactured between April 14, 2003 and February 6, 2004 - is located inside the air handler cabinet usually found in the basement, attic, equipment closet or crawlspace of a consumers home. The horizontally or vertically installed air handler is a painted metal cabinet with the Trane or American Standard name plate on its front. 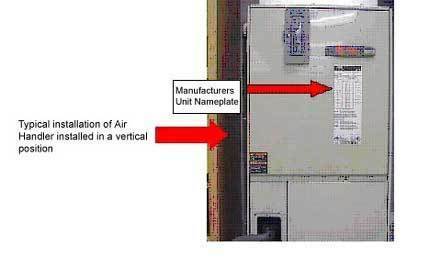 Air handler model numbers are found on the outside of the air handler door. Consumers with one of the recalled units are being directly contacted by the independent dealer that installed it. If you had a Trane or American Standard heat pump or electric heating system installed between April, 2003 and February, 2004, and have not yet been contacted by your installer, write down your air handler model number and call your installer to see whether your air handler could contain a recalled heater. Your may also visit the firms Web sites to see whether your air handler could contain one of the recalled heaters and, if so, call your installer. To avoid electric shock, do not open the air handler door. Only a professional installer should open the air handler door to determine if you have a recalled accessory heater. The heaters were sold by independent Trane or American Standard dealers nationwide for about $140. Consumers who have not yet been contacted by independent dealers should immediately contact their installer to determine if they have a recalled unit. Consumers may arrange for a free inspection and repair through their installer. Consumer Contact: Consumers should contact their local Trane or American Standard installer, or visit www.trane.com or www.americanstandardair.com for the name of an installer near them. Consumers can call the firm toll-free at (888) 556-0125 between 8 a.m. and 5 p.m. CT Monday through Friday. Flaws in the design and performance of safety belts leave vehicle occupants vulnerable to serious and often fatal injuries in rollover crashes, a new Public Citizen report shows. "Safety belts are currently the most important safety feature that would keep people secure and inside the vehicle during a rollover crash," said Public Citizen President Joan Claybrook. "It is inexcusable to install belts that do not do the job. The auto industry has known for decades how to design belts to better protect occupants in rollover crashes but has failed to do so." There is no federal safety standard for belt performance in rollover crashes, and the auto industry has done little to design belts to fully protect occupants in these crashes, the report said. Public Citizen is calling on Congress to enact vehicle safety measures in a pending Senate bill (S.1072) that would establish a comprehensive approach to making rollover crashes survivable. As rollover-prone SUVs proliferate on U.S. roads, fatalities in rollover crashes have climbed to one-third of all vehicle occupant fatalities, or 10,600 each year. The three risks of rollover - roof crush, ejection from the vehicle and belt failure - combine to make rollover crashes unnecessarily deadly. All three of the risks compromise or destroy occupants' survival space during a crash and are inter-related. For example, roof crush becomes more deadly as seat belt use increases. The auto industry continues to blame drivers and passengers for failing to use safety belts, but belt use is at an historic high and rollover fatalities are not abating. The National Highway Traffic Safety Administration (NHTSA) actively promotes belt use and is requesting $150 million for this program next year. But its most recent regulatory move on safety belts came in 1999, when - under heavy pressure from automakers - it removed a portion of its 1967 standard that described a belt's required position in relation to the occupant's pelvis in a rollover crash. Statistics show that while safety belts usually keep occupants from being completely ejected from a vehicle during a rollover, they often allow partial ejection, which is deadly. Moreover, six of 10 occupants who suffer serious or fatal injuries in rollovers inside the vehicle were wearing a safety belt, according to NHTSA. Public Citizen's report also pointed out a troubling discrepancy between observed belt use and rollover fatalities. Average belt use by SUV occupants is slightly higher than passenger car occupants, but recorded belt use by SUV occupants killed in rollovers is much lower than passenger car occupants killed in rollovers. The discrepancy suggests that some SUV occupants may come out of belts during the crash, or the belts may otherwise fail. Most belt systems lack rollover sensors that would engage pretensioners and fail to pull slack in quickly enough to prevent occupants from contacting hard vehicle surfaces. Current standard belt systems permit lateral movement of occupants' heads and bodies during rollovers, allowing impact with roof pillars or partial or full ejection of occupants through side windows or weakened doors. Belt straps are anchored to the door frame instead of the seat, undercutting the belts' effectiveness when the frame or door is deformed or torn off during a rollover. Lap belts are anchored behind occupants' hips, rather than directly below. Belts are not effective in preventing people in rollovers from coming up out of the belts and toward the roof. It would be better for belts to wrap across the hips. Some safety belts unlatch during rollovers, which occurs during interaction with the vehicle interior or occupants that unlock the belt buckle, leaving occupants without the belt's protection. "Protecting consumers in rollover crashes should be at the top of NHTSA's priority list," said C. Tab Turner, a Little Rock, Ark., attorney and co-author of the report. "As today's report shows, roof crush is not the only danger in rollover accidents. Current safety belt systems are designed to provide protection in frontal crashes, but victims of rollovers are not being adequately protected and, in fact, have a false sense of security about the effectiveness of belts in rollovers. The industry is unwilling to voluntarily incorporate rollover-safety technology in a timely manner." "Consumers are told again and again to buckle up to save lives," Claybrook said. "Manufacturers and the government should be doing everything in their power to ensure that we really can rely on belts to protect people in rollover crashes." Feel like you were robbed in the stock market? Fine but don't try telling that to the Internal Revenue Service. The IRS is warning taxpayers that stock market losses -- even those as drastic as Enron and Worldcom -- cannot be deducted as thefts on your tax return. Losses on stocks purchased in the public stock exchanges cannot be taken as a straight loss but must be used to offset any capital gains in the same year. If the taxpayer has more losses than gains, the extra losses can only be used up at a rate of $3,000 a year to offset ordinary income taxes. If it takes years to use up the extra amount, tough, the IRS said. What if you lost big bucks to a South Florida boiler-room operation -- one of the many pyramid or Ponzi schemes currently making the rounds? The answer is not as clear-cut. You might be able to write off your losses as theft but if you do, you're likely to wind up in tax court. A tax consulting firm, J.K. Harris, is promoting the idea that these losses can be treated as theft under Section 165 of the tax code. The firm takes a fee, based on the amount of the loss, for its services, which include gathering background material for the taxpayer and agreeing to represent the taxpayer in case of an IRS audit. The company claims it has helped 500 injured taxpayers seek $25 million to $30 million in such deductions in the last 2 years. Generally speaking, tax experts said, taxpayers are on thin ice unless they can prove that the money they paid for an investment was embezzled by the middleman -- their financial advisor or broker, for example. If the funds actually made it into the supposed investment, the case falls into a gray area and expert tax advice is needed. Misuse of Trusts Promoters of abusive tax transactions are increasingly urging taxpayers to transfer assets into trusts. Taxpayers should be aware that abusive trust arrangements will not produce the tax benefits advertised by their promoters and that the IRS is actively examining these types of trust arrangements. "Claim of Right" Doctrine In this emerging scheme, people file returns and attempt to take a deduction equal to the entire amount of their wages. The promoters advise them to label the deduction as a necessary expense for the production of income or compensation for personal services actually rendered. The deduction has no basis in law. Corporation Sole Would-be participants are mistakenly told that Corporation Sole laws, primarily intended for the clergy, provide a legal way to escape paying federal income taxes, child support and other personal debts. Offshore Transactions Use of an offshore bank account, brokerage account, credit card, wire transfer, trust, offshore employee leasing or other arrangement to hide or underreport income or to claim false deductions on a federal tax return is illegal. A taxpayer involved in these schemes could be subject to payment of taxes, interest, penalties and potential criminal prosecution. Employment Tax Evasion The IRS has seen a number of illegal schemes that instruct employers not to withhold federal income tax or other employment taxes from wages paid to their employees. These schemes are based on an incorrect interpretation of Section 861. Employer participants could be held responsible for back payments of employment taxes, plus penalties and interest. Employees who have no withholdings are still responsible for payment of their personal taxes. Return Preparer Fraud Unscrupulous return preparers can cause a lot of problems for taxpayers who use their services. Abusive return preparers derive financial gain by diverting a portion of the taxpayers refund for their own benefit, charging inflated fees for the return preparation services, and increasing their clientele by advertising guaranteed larger refunds. Taxpayers should choose carefully when hiring a tax preparer no matter who prepares the return, the taxpayer is ultimately responsible for all of the information on that return. Americans with Disabilities Act This involves the purchase of equipment and services that the promoter alleges meet the strict criteria of the Disabled Access Credit. A minimal payment is made and a non-recourse note signed. The investor then provides insignificant services to complete the purchase agreement. This scheme is based on an incorrect interpretation of law and an over-inflated value of the services rendered. African-American "Reparations" Refund Thousands of African-Americans have been misled by people offering to file for tax credits or refunds related to reparations for slavery. There is no such provision in the tax law. Taxpayers could face a $500 penalty for filing such claims. Improper Home-Based Business This scheme purports to offer tax relief but in reality is illegal tax avoidance. The promoters of this scheme claim that individual taxpayers can deduct most, or all, of their personal expenses as business expenses by setting up a bogus home-based business. But the tax code firmly establishes that a clear business purpose and profit motive must exist in order to generate and claim allowable business expenses. Frivolous Arguments Frivolous arguments are false arguments that are unsupported by law. When a scheme promoter says I dont pay taxes why should you or urges you to untax yourself for $49.95, beware. The ads may claim that the promoter knows the secret for never paying taxes again, but thats just plain wrong. The U.S. courts have continuously rejected this and other frivolous arguments. Identity Theft The IRS is aware of several identity theft scams involving taxes or the IRS. In one example, fraudsters sent bank customers fictitious bank correspondence and IRS forms in an attempt to trick them into disclosing their personal and banking data. In another, abusive tax preparers have used clients Social Security numbers and other information to file false tax returns without the clients knowledge. For taxpayers, it pays to be choosy about disclosing personal and financial information. And the IRS encourages taxpayers to carefully select a reputable tax professional. Share/Borrow EITC Dependents Unscrupulous tax preparers "share" one client's qualifying children with another client in order to allow both clients to claim the Earned Income Tax Credit. For example, one client may have four children but only needs to list two to get the maximum EITC. The preparer will list two children on the first clients return and the other two on another clients tax return. The preparer and the client "selling" the dependents split a fee. John Deere & Co. is recalling about 300 compact utility tractors to fix a problem in the roll cage. Some of the steel bolts used to secure Roll Over Protective Structure (ROPS) to the tractors real axle can shear off, decreasing the strength of the ROPS and its ability to protect the operator in the event of a roll over incident. John Deere is aware of three incidents where the bolts have sheared off, all which were discovered during factory inspections. There have been no reported injuries. Authorized John Deere dealers sold the tractors nationwide during January and February 2004 for between $18,000 and $21,500. The company is directly notifying purchasers. Consumers should stop using their tractors immediately and contact a John Deere dealer for a free repair. Consumer Contact: For more information, contact John Deeres Customer Communications Center at (800) 537-8233 between 8 a.m. and 7 p.m. ET, Monday through Friday and between 9 a.m. and 5:30 p.m. ET Saturday, or at the John Deere Web site at www.johndeere.com. Sen. Charles Grassley (R-Iowa) has introduced a bill to immediately remove federal barriers to the reimportation of lower-cost, U.S.-made prescription drugs from Canada. Grassley said his legislation reflects consumer demand for the lower-priced pharmaceuticals available in Canada and responds to the fact that the U.S. Food and Drug Administration (FDA) has declined to take action that could lead to certification of prescription drugs from Canada. "Free trade principles argue for allowing importation of drugs from Canada and other countries as long as those drugs are safe," Grassley said. "The FDA has been unresponsive for years, and U.S. consumers have been going around the FDA. Congress needs to take action to make sure that prescription drug imports are both safe and available to U.S. consumers." The legislation would give the Food and Drug Administration (FDA) 90 days to develop a system to register and inspect Canadian suppliers. After that, U.S. consumers would be able to purchase prescription drugs only from Canadian companies that have been inspected and registered by FDA. After two years, the bill would allow the reimportation of prescription drugs from other countries, including Australia, Japan and members of the European Union. "Imports create competition and keep domestic industry more responsive to consumers," Grassley said. "Americans are tired of waiting for the federal government to address this issue. My bill lights a fire under the FDA and gives it the directive and resources it needs to fulfill its obligations to U.S. consumers." To reimport prescription drugs, U.S. consumers would need prescriptions from U.S. doctors, and the consumers would only be permitted to purchase treatments approved by FDA. In addition, the bill would not allow the reimportation of some types of prescription drugs, including potentially addictive painkillers. Grassley said that the cost of setting up an FDA inspection and registration system would be covered by fees paid by the Canadian exporters. He added that FDA's estimates that the agency would need $100 million per year to ensure the safety of reimported drugs are "outrageous" and that the true cost of safety inspections would be much lower. Grassley's bill would eliminate the tax deduction for advertising costs of any drug companies that cut off supplies to Canada. It would reward drug makers that conform to the reimportation program with increased federal funds for research. FDA Associate Commissioner William Hubbard said the agency is reviewing the legislation but added that it "raised several concerns." The bill's formal name is the Reliable Entry for Medicines at Everyday Discounts through Importation with Effective Safeguards Act of 2004 (S.2307), or the REMEDIES Act. Q: What are the goals of the legislation? A: The legislation has two objectives. First, it would put an immediate end to the unregulated and unsafe situation with drug imports that exists today. Second, the legislation would provide the Food and Drug Administration (FDA) with the resources and authority to ensure the safety of imported drugs. Q: How does the bill work? A: Current law prohibits the importation of prescription drugs until the Secretary of Health and Human Services (HHS) certifies that importation can be done safely. Using current resources and authority, the FDA has not been able to provide an assurance of safety of imported drugs. The bill immediately halts unsafe importation but permits individuals to obtain prescriptions from Canadian pharmacies on an interim basis while FDA gets the new drug importation system up and running. Under the bill, the FDA is required to issue final regulations for the new system within 90 days of enactment. Under the new importation system, individuals, pharmacies, and drug wholesalers could purchase qualified drugs for import into the U.S. from foreign exporters that register with the FDA. To obtain a registration, a foreign exporter must demonstrate compliance with safety measures, must submit to jurisdiction of U.S. courts, and take other steps to assure safety of imported drugs. A user fee charged to registered exporters would provide the financing needed for FDA to register and oversee foreign drug exporters and ensure the safety of imported drugs. Q: How will patients get their prescriptions filled at an overseas drug exporter? A: First of all, consumers that want to have their prescriptions filled at an overseas prescription drug exporter will be able to go to the FDA website and find a list of companies that have passed FDA's requirements to become a registered exporter. Just as for filling a prescription in the U.S. today, the patient must have a valid prescription written by a health care professional licensed in a state to prescribe drugs. The patient will then compare drug prices at the different registered exporters to find the best price available. To get the prescription filled, the patient will have to contact that exporter and either mail or fax the prescription to them. Alternatively, the registered exporter could call the patient's prescriber and get the prescription over the phone. This is the same process as mail order pharmacies in the U.S. use today. A pharmacist at the registered exporter would fill the prescription according to the prescriber's instructions. The registered exporter may only fill the prescription with brand-name drugs, meaning these are the same drugs as those approved by the FDA and manufactured by the same company as approved by the FDA for sale in the U.S. Individuals can also have a prescription filled that is technically not an FDA-approved drug, but the drug must have the same active ingredients, dosage form, strength, and route of administration as the FDA-approved drug and is made by the same manufacturer as the FDA-approved drug. These drugs are manufactured by the same brand-name manufacturer and are made for sale in the market of the approved country. The registered exporter is required to verify that the drug can be traced back to the original manufacturer and the drug must have been stored and handled properly. The FDA, through its on-site inspectors, will also be verifying that the prescription drugs being dispensed to patients meet FDA's criteria. Once the prescription is filled, the registered exporter will place a label or other markings on the package for shipping that identify the shipment as being in compliance with FDA's safety requirements and all registration conditions. These markings will be designed by FDA and may include track-and-trace technologies and anti-counterfeiting measures. When the package enters the U.S., that marking will signify to Customs officials that the product was dispensed from a registered exporter and can therefore be permitted to enter the country. Packages with drugs that lack this marking will be seized by Customs and destroyed. Q: Can the importation of prescription drugs from other countries be expanded? A: Yes. In the second year of the importation program, HHS would be required to submit a report to Congress on the safety of the program and its impact on trade. Unless Congress acted, the program would be expanded in year three to include importation from the European Union, the European Free Trade Association, Japan, Australia and New Zealand. Other countries that meet specific statutory criteria may also be added to the list. Q: What is the complete list of countries that would be permitted in the third year of the program? A: There are currently 15 members of the European Union: Austria, Belgium, Denmark, Finland, France, Germany, Greece, Ireland, Italy, Luxembourg, Portugal, Spain, Sweden, The Netherlands, and the United Kingdom. Beginning on May 1, 2004, there will be 10 new member states in the European Union: Cyprus, Czech Republic, Estonia, Hungary, Latvia, Lithuania, Malta, Poland, Slovakia, and Slovenia. There are 4 member countries in the European Free Trade Association: Iceland, Liechtenstein, Norway, and Switzerland. A: The infrastructure needed to guarantee the safety of the imported prescriptions would be financed through user fees. User fees would be paid by registered exporters, which could be the overseas pharmacies or prescription drug wholesalers, for example. The Congressional Budget Office has not yet officially scored the bill. Q: Now that the bill is introduced, what comes next? A: Because the bill contains tax provisions, it has been referred to the Finance Committee. Senate leadership has expressed an interest in developing legislation this year to allow the importation of prescription drugs. Because the bulk of the legislation falls within the jurisdiction of the Health, Education, Labor & Pensions (HELP) Committee, it is expected that HELP will take the lead in reporting any legislation. Q: How is this bill different than other legislation on importation? A: While the idea of importation of prescription drugs from foreign countries enjoys broad bipartisan support, the issue of safety continues to remain a major barrier to allowing importation to move forward. Secretaries of HHS from both the Clinton and Bush Administrations have determined that safe importation of prescription drugs cannot be guaranteed with the authority and resources the FDA has today. Many bills presume that importation is safe and that FDA and the public should not be overly alarmed. However, there is a legitimate concern about unsafe pharmaceuticals entering the U.S. every day. Hundreds of thousands of packages enter our country on a daily basis, with little or no ability for the U.S. Customs Service or the FDA to guarantee these drugs are safe and effective. Rather than ignore the safety issue, this bill responds to the concerns raised by FDA and others and creates a way to ensure safe access to lower cost prescriptions. Q: How does this bill lower the costs of prescription drugs Americans have to pay? A: United States consumers pay 30 to 300 percent more for their prescriptions drugs than those in other countries. Drug manufacturers are forced to sell their products at lower prices in other countries and try to re-coup their profits by making Americans pay higher prices for the same products. This bill recognizes that competition in the global marketplace can work to lower prescription drug costs. If lower cost pharmaceuticals are made available to Americans, drug companies will be forced to re-think their pricing strategy and won't be able to gouge consumers in the United States. Q: What mechanisms does the bill propose to guarantee safety? A: The bill would allow importation of qualified drugs only from registered exporters, whose actions will be held accountable in U.S. federal courts. The inflammation process that creates these metabolites can be triggered by numerous stimuli, including infections that precede the onset of Alzheimer's disease by a significant amount of time -- perhaps years. Alzheimer's is a progressive neurodegenerative disease marked by memory loss, loss of language ability, loss of the ability to mentally manipulate visual information, poor judgment, confusion, restlessness, and mood swings. According to the Alzheimer's Disease Education and Referral Center, a service of the National Institute on Aging, Alzheimer's disease is now believed to inflict some 4.5 million people and is the most common form of dementia among older people in the United States. Currently, there is no cure for Alzheimer's and no way to slow the progression of the disease. German doctor Alois Alzheimer discovered the disease in 1906, when he examined a post-mortem patient who had died with an unusual mental illness. Alzheimer found unusual clumps of protein or plaques in her brain. These plaquesmade up of aggregated proteins called amyloid betaare a clear sign of the disease, and the aggregation of amyloid beta protein is an accepted primary pathological marker for Alzheimer's. Missouri Attorney General Jay Nixon is suing companies blast faxing unsolicited advertising to fax machines in Missouri. Nixon says the blast faxers are violating state consumer protection laws by sending the fax ads without first obtaining permission from the recipients, by sending the ads after being asked to stop, and by shifting the cost of the advertising for equipment, paper, toner and time to the recipient. "These fax ads are unsolicited and unwanted by the recipients who have complained to our office, Nixon said. Its time to pull the plug on junk faxes. "Small business owners especially are frustrated about the torrent of ads that choke off their fax machines, Nixon says. When they are waiting on a signed bid or contract to come through, it is particularly vexing to instead see junk faxes for cruises, stock tips and office supplies come pouring out of the fax machine. Sending unsolicited fax advertising is illegal under both state consumer protection laws and the federal Telephone Consumer Protection Act. Nixon has sued blast faxers under both state and federal laws. Last year, Nixon won a landmark decision from the federal appeals court when that court upheld the constitutionality of the federal law making it illegal to send unsolicited fax advertising. Agape Mortgage Partners Corp. (formerly known as Community Capital Mortgage Corp.) and the president of both companies, Jeff Basler, all of Overland Park, Kan., for sending unsolicited faxes advertising financial services. The lawsuit was filed in Cass County Circuit Court. Global Vacations USA Inc. (formerly known as Tatis Travel the World CDs Inc.) and EZ Travel the World Inc., both of Orlando, Fla., for sending unsolicited faxes advertising discount vacation packages. The lawsuit was filed in Marion County Circuit Court. Blue Jay Inc. and Red Rose International Ltd., of Henderson, Nev.; and the president of both companies, Neil S. Luxenberg, of Las Vegas, for sending unsolicited faxes advertising Rescue 911 Aerosol Instant Roof Patch and Sub Zero Liquid Ice Melt. The lawsuit was filed in Cole County Circuit Court. Bridge 21 Inc., Casper, Wyo., and QB Easy Inc., of Los Angeles, for unsolicited fax advertising for seminars entitled QuickBooks Training Made Easy. The lawsuit was filed in St. Louis County. Info 4 U Ltd., Right 2 Vote Ltd., Greatgain Ltd. and Top 20 Ltd., all based in England, for sending unsolicited faxes directing consumers to call or fax a variety of 900 telephone numbers at a cost of $3.95 per minute to receive great fax offers on a variety of items. The lawsuit was filed in Cape Girardeau County Circuit Court. Nixon is asking the courts to issue injunctions prohibiting the defendants from further violations of the law, and to order the defendants to pay all costs of the state connected with bringing the lawsuits. The Attorney General also issued a cease and desist order against Fiducia Inc., a Lombard, Ill., company to stop it from sending unsolicited fax ads. Fiducia, which does business as Americas Toner, has sent faxes advertising toner cartridges. If Fiducia violates the cease and desist order, it could be charged with criminal consumer fraud. Two other companies entered into agreements today with Nixon to stop sending unsolicited faxes. Candela Corp., of Wayland, Mass., had been sending faxes advertising cosmetic laser workshops. Syneron Inc., of East Dundee, Ill., had been sending faxes advertising hair removal and skin renewal technology systems, training course and workshops. Under the assurances of voluntary compliance filed in Cole County Circuit Court, both companies will stop sending their faxes. Last December, Nixon filed a lawsuit in St. Charles County Circuit Court against the three individuals who were sending unsolicited fax ads for their business, North-West Roofing. Two lawsuits filed by Nixon last summer in federal court against Florida blast faxers were settled with the companies agreeing to stop sending unsolicited fax advertising into Missouri. I am writing in response to the letter against declawing. I will start by saying that I have two cats, whom I love very much, and who are both declawed. The first of my girls, Mina, had two problems ... not only did she resist training to a scratching post (I live on a military base and cannot allow my cats outside) and regularly use people for scratching, but she seemed to have problems retracting her claws, and would often get them caught in things (trimming did not seem to help). Knowing the procedure for declawing, I made sure that the vet used the laser procedure, and that Mina was given a long-lasting painkiller before she was released. She went outside her litter box once - because I didn't get to it fast enough when I was still using alfalfa pellets after her surgery (she flatly refused to use newspaper, and wouldn't go at all until I switched), and rather than going in the slightly dirty pellets (you have to scoop right after they go with those things, or face much nastiness), she went on a blanket on my bedroom floor. I can't blame her, those pellets were pretty gross. About a year later, we adopted Lucy, the cuddliest cat you have ever met. She was declawed about 4 months later. Though she liked the scratching post, she seemed to take it as permission to scratch everything else - the problem actually increased when I introduced it and never decreased afterward, no matter what I tried. And as a former street cat, she got really rough with Mina, who had never been outdoors in her life and was less aggressive. The laser surgery cauterizes immediately, so there was no bleeding, and the paws healed very quickly. Only Lucy has a chewing problem. She likes plants. But she did that since the day I got her, so it's nothing new. (Speaking of which, growers should really add toxicity to the labels when selling plants. I'm tired of looking them up.) Neither cat has changed behaviorally since, other than calming down a bit with age. I also have a daughter who just turned 4 years old, and both cats are excellent with her. Neither has ever bitten her. Before, they had a problem with the occasional stray claw, but even that did not cause me to worry too much, as it was always very slight and accidental. According to the publisher of the web site "Good Cats Wear Black", cats need to scratch to work the muscles in their backs, shoulders, and stomachs. This is only semi-true. A cat scratches to rid itself of the sheath on each claw, which it constantly sheds, causing it to itch. If you watch a cat scratch, it will often both scratch and stretch. This is what helps work the cat's muscles. My girls still stretch against the furniture, and so does every declawed cat I have ever met. Both of my cats have retained normal muscle tone, even after spaying. Most people also worry that a cat can no longer climb or defend itself after declawing. Though I don't agree with declawing an outdoor cat myself, since they do have a distinct disadvantage when facing another cat, this is not entirely true either. I have seen a declawed cat climb a rather large tree, using mainly its back claws. When I lived elsewhere, my neighbor had a declawed cat who lived to be 18. He was allowed outside, and never urinated anywhere but in his litter box or outdoors. As for fighting, well, our black lab got loose once. He would not go near that cat for the world. There was never a dog or cat who was tempted to enter his territory. And, if you watch a cat fight, they use their back claws as well as the front. The front paws (claws are helpful, but not necessary for this) are used to hold the opponent, then they rake the back claws along the stomach. I have seen Lucy send my sister's large, aggressive, clawed male cat running. As for the specific information reported on the aforementioned website: You cannot cite your own book to prove your point. You have made your point, there is no sense in re-referencing. The Veterinary Journal information is good, but how many vets actually follow up with their cats years after surgery? How many owners are likely to report if they have no problems? With as many declawed cats as there are in this country, that seems rather a small control group. As for your data, well, someone is hardly likely to call in unless they have a problem, are they? No one is likely to call to say, "I just wanted to let you know that my cat is behaving perfectly." I also see a mention that 90% of your calls related to urination problems are declawed, SICK, OR OLD. You say that most of your behavioral calls relate to declawed cats, but later in a chart on the page I note that the numbers say that more of your overall calls are for clawed cats. I also note that you say that taking the cat outside once a day usually solves the litter problem. As it is actually harder to dig in the ground than litter, and I know that no cat only urinates once a day, this leads me to believe that the cat goes back to using the litter box. This seems to indicate some discontentment with the cat, not a problem with pain in the paws. As for the fact that your data indicates that declawed cats have litter problems earlier than clawed cats, well, some cats do earlier than others. You have an awfully small group to base this data on, and no control group whatsoever. You mention complications with surgery, which is the case with any procedure, and why you should consider before you have one done. And that you shouldn't just put a cat through surgery just for convenience. (I agree, but most people who declaw have a reason.) Does this mean you're against spaying/neutering, too? I really hope this letter is published (unlike my last one on this subject), because you do not inform people of both sides of the issue. My last, and probably biggest problem, is that you tell people not to adopt a declawed, young, healty cat from an animal shelter. How can you deny the cat a home? There is a very good chance that that cat is there for a reason other than behavioral problems. If the cat is friendly and healthy, there is no reason it won't make a good pet. From your site, it seems as though you want all declawed cats to be euthanized. This is unfair to some wonderful, loving animals. I know that declawing isn't for everyone, and as with adopting a pet in the first place, you should make an informed decision. I will say to everyone who owns a pet - dog or cat, clawed or otherwise - you are responsible. Once you adopt that animal, you need to take care of it. As I believe the web site mentioned, a lot of people will get rid of a pet if it becomes too much work. A pet is a member of the family, and you need to treat it as such. If you can't, then you shouldn't have one in the first place. Struggling computer maker Gateway is abruptly closing all 188 of its stores, effective April 9. The closing will eliminate 2,500 jobs, about half of Gateway's workforce. Gateway is now pinning its hopes for a recovery on eMachines, which it purchased in January, hoping to boost its market share. Gateway has been losing money for three years as rivals Dell and Hewlett-Packard grew at Gateway's expense. Gateway's stores had recently tried to reposition themselves as home entertainment centers, stocking a line of video monitors, DVD players and similar devices but they were unable to compete against Circuit City, Best Buy and other entrenched players, not to mention Wal-Mart and other large discounters who are increasing their footprint in home entertainment gear. Gateway said it will continue to sell Gateway machines online and over the phone but hasn't said whether it will try to market its machines through retailers. eMachines are sold by a number of large retailers, and some of those retailers had been unhappy with Gateway's retail stores, which they viewed as competition. After completings its $290 million purhcase of eMachines, Gateway named eMachines CEO Wayne Inouye its new chief executive, replacing Gateway founder Ted Waitt, who remains the company's chairman. Under Inouye, eMachines had nine straight quarters of profits on a lean operation of only 138 employees. A federal judge in Chicago has upheld a class-action racketeering lawsuit against tax preparer H&R Block and consumer lender Household International. The suits accuse the companies of conspiring to trick poor customers into taking out high-interest tax anticipation loans. The companies face potential treble damages that could run to billions of dollars if arguments by the plaintiffs' lawyers prevail in the case, which has been working its way through the courts since the late 1990's. Judge Elaine E. Bucklo, in a 20-page decision, dismissed most of the counts against the two companies but upheld the two racketeering complaints. Judge Bucklo also eliminated a large portion of the 17 million-person class by ruling that arbitration clauses contained in many of the loan contracts signed by clients are enforceable. The case began in February 1995, when the sole named plaintiff, Lynne A. Carnegie of New York, had a Block office prepare her taxes. Beneficial Finance, now Household International, made the loan in anticipation of her income-tax refund. Millions of such loans are made each year for flat fees that equate to annual interest charges of several hundred percent and in some cases reach 2,000 percent. Both sides claimed victory. Peter S. Linden, who represents Ms. Carnegie, said the judge's ruling was "a significant victory for the plaintiffs." He said the court "has sustained the plaintiffs' ability to sustain the racketeering claims against Block and Household, and those carry the potential for treble damages, so their exposure is very significant." A Block spokesman said the company was pleased with the judge's ruling because it dismissed most of the counts regarding the refund anticipation loans. Household declined to comment, though a spokesman noted the company has changed its lending policies in recent years and now clearly states that a refund loan is in fact a loan. Household remains the leading source of refund anticipation loans. It made 7.7 million of the 12.5 million such loans last year. Last November, H&R; Block agreed to settle claims in Texas stemming from its failure to disclose a license fee it was receiving from the lending bank for the high-interest loans it marketed to its customers. In Pennsylvania, an appeals court ruled earlier this year that lawsuits accusing Block of charging unnecessary fees for filing tax forms electronically can be treated as class actions and don't have to be arbitrated.